The Rise to Power (and the rebirth of GalCop) has begun! UPDATE: EGP (ie: the Russians) beat us to Tier 8 (finish line), thanks (in part) to some allocation irregularities. They will receive 6 points towards "Rise" composite score. Most GalCop members didn't receive the same allocation rate of target rare commodity; we'll be receiving 5 points towards "Rise" composite score. Complaints have been lodged, but it's best to move forward. We have until next THU to rest, recuperate, and tend our gardens. UPDATE: The next Community Goal is now active! All I can say is... YARGH! 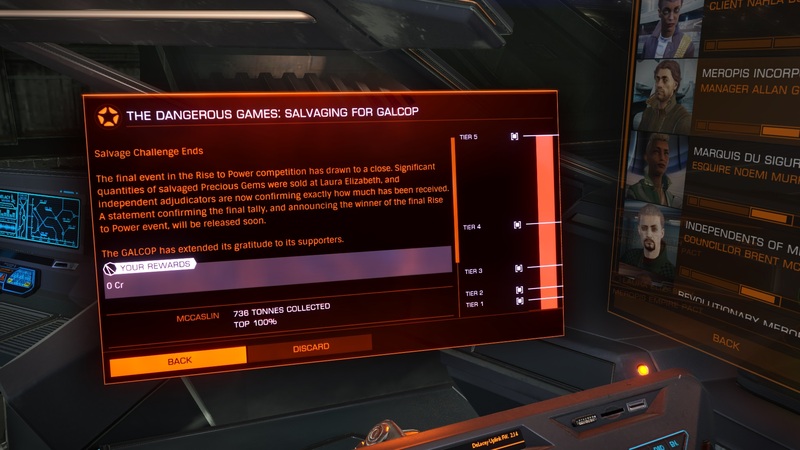 UPDATE: With approximately 24 hours remaining in this Community Goal, it appears that GalCop will place 2nd (barring acts of God/Braben/Thargoids). I'm very proud of SINC; we made a disproportionately large contribution to GalCop (and science). The exact tonnage will be revealed by GalCop in the post-CG analysis. Remember to log all contributions with the GalCop CG Tracker. 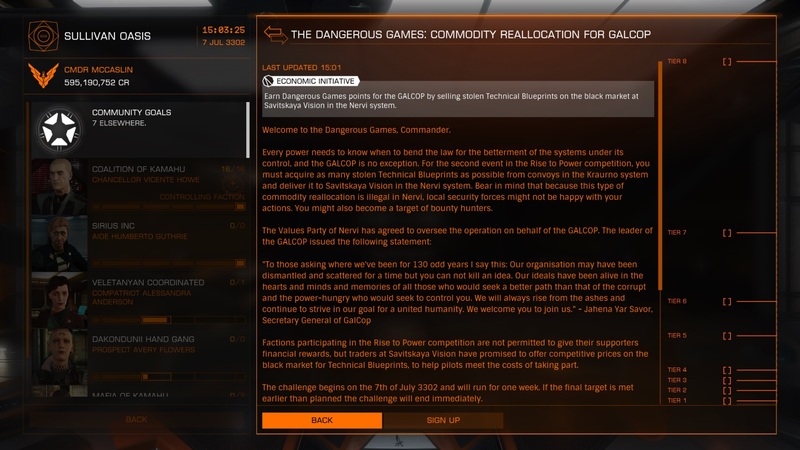 If you would like to receive a UNIQUE GALCOP COALITION DECAL, please contribute at least 1t of technical blueprints to the GalCop CG (assuming you did not already make a contribution in CG #1). UPDATE: The CG has come & gone... in less than 8 hours!